After spending 20 years immersed in the humanitarian world, I’ve learned a lot about international development, geopolitical trends, and disaster mitigation. Some might even say I have a Ph.D.-level understanding. But in the twilight of my World Vision U.S. presidency, those aren’t the learnings I’m compelled to share. What’s on my mind are the timeless lessons of God’s truth, recorded in the Bible and borne out in my experience. The first and perhaps most important lesson came at the very beginning of my World Vision journey before I even accepted the role of president. God powerfully used the story of Moses to teach me about obedience. In 1998, I was every bit as insecure as Moses when the World Vision U.S. board of directors selected me as the next president. I was convinced they had the wrong person. I had never been to Africa. I knew very little about global poverty. I had no theological training, and I’d never done much public speaking. I was running a luxury goods company, of all things — selling expensive baubles to the wealthy. Like Moses, I argued with God and pleaded with him to send someone else. Facing a job offer that to others might seem exciting and important, I was fearful and reluctant. Like Moses, I finally said yes to God, trusting he would use what I had in the same way as he used Moses’ simple staff to part the Red Sea and perform miracles. The same way Jesus took a few loaves and fish — the simple lunch of a small boy — and fed 5,000 people. God needs far less than we think to change the world, and all of us have something God can use, even if it’s only a stick. He will use what we have, if only we give it. Now, saying yes to God is only step one. Faith involves long obedience in the same direction. Along the way, it’s easy to doubt God’s promises when we don’t see results. Moses did, questioning God when the going got tough with Pharaoh: “Why did you ever send me?” (Exodus 5:22). 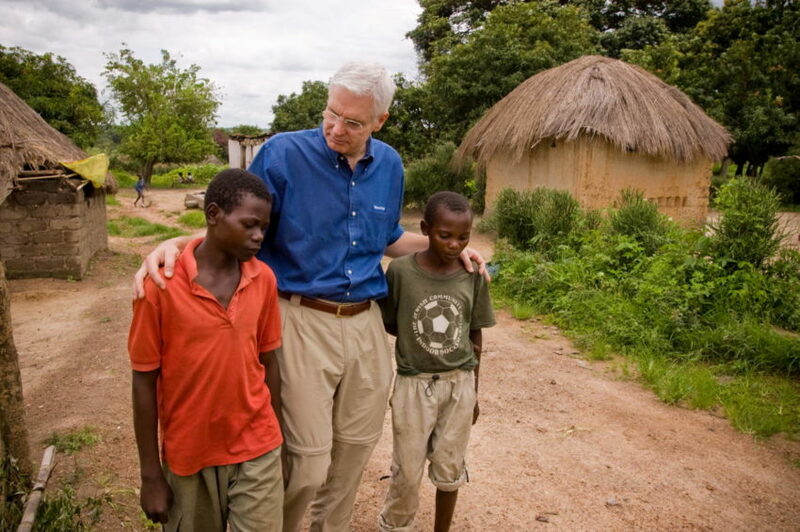 Over my 20 years at World Vision, I sometimes wavered in my belief in what God was doing. At times I felt like I was riding a roller coaster of success and setbacks, record-breaking revenue and poor financial forecasts, progress against poverty and heartbreaking encounters with hurting children. I’ve come to see the remarkable truth in this Scripture. While leading a billion-dollar ministry that works in some of the hardest places on the planet, I’ve learned it’s God who delivers the results, not me. You see, what God is accomplishing through us involves us, but it doesn’t depend on us. We see this in Scripture time and time again: Moses was involved in freeing God’s people and leading them to the Promised Land. Abraham was involved in God’s promise of a son. Joshua was involved in toppling the walls of Jericho. The Apostle Paul was involved in leading the first-century church. But in every case, the outcome didn’t depend on them. They simply obeyed, and God delivered the outcomes. That’s what the past two decades, 2 million air miles, hundreds of church visits, and trips to 60-plus countries have been about for me: obeying God and trusting him for the results. These are lessons for you, too. God calls each of us to join him in changing the world. But maybe you’re feeling underqualified or unready. Maybe you’re wondering “Why me?” and focusing on the pieces that seem to be missing. Just look at what’s in your hand. God never asks for what we do not have — but he cannot use what we will not give. Remember that God always makes good on his promises. You may not always see it or feel it. But you can believe it because God is doing it!